Golf at some of the best courses in Canada accompanied by drive through a picturesque landscape, visit to the magnificent Niagara falls and the \"cottage country\"; come on board and experience the lively culture as you relax and rejuvenate amidst the graceful sights. 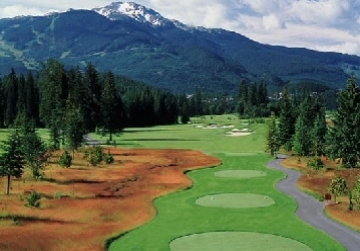 Golf at the Angus Glen Golf Club offers beauty, challenge, and first-class service. The fairways on the North Course at Angus Glen are lined with jagged, peaky, fescue-covered dunes, and riddled with three and four foot sod wall bunkers. While the fescue dunes are grown freely to their natural height of approximately two feet, the sod walls are kept tightly trimmed to reveal the menacing vertical faces complete with the Scottish-style layering of the sod. Afternoon at leisure for sightseeing in Toronto. Enjoy a leisurely drive around Lake Ontario, to Niagara Falls. Continue along the shores of the Lake to the historic town of Niagara-on-the Lake, this region is well known for itsâ€™ orchards and wine production,Â home to many cottage wineries. Along the scenic drive from Niagara on the Lake to Niagara Falls you will pass Peller Estates and Inniskillin. Further along the Niagara Parkway you will pass Queenston Heights Park, The Floral Clock and the Whirlpool Rapids. The Battlefield course boasts a decided links look and a variety of holes that allows golfers to experience the generousÂ rolling fairways and greens, however also offers a mixture of fairways bound by dense forest and brush. With its thick stands of deciduous trees and strong contours,Â Ussherâ€™s Creek looks like a classic parkland course. The mature Carolinian forest along with a sea of bunkers are ready to snare any wayword strokes, and present an intimidating optical illusion. Included Activity: Horneblower Niagara CruiseÂ The boat passes directly in front of the American Falls, Rock of Ages and Cave of the Winds and then enters the Canadian Horseshoe Falls for a spectacularÂ view of the Falls. Today you will bypass Toronto and make your way to Huntsville in the Muskoka region of Ontario. Also known to locals as â€œcottage countryâ€ where many families from the city escape to in the summer months. The Deerhurst Resort Highlands Course designed by Robert Cupp & Thomas McBroom is a 7,011-yard course and was recently named Best Course in Cottage Country. Bold granite outcroppings and dramatic terrain shifts are optimized atÂ signature hole, #10, where elevated tee areas perch 30â€™ high above a natural rock wall. Dense, mature forests characterize most of the course while holes 4, 5 and 6 break out into an open links-style swirl. Today you will be traveling east through Algonquin Park towards Ottawa. Enjoy a visit to the Interpretive Centre and Pioneer Logging Exhibit for an audio/visual presentationÂ of the history of the park. Today you will be heading out to the Laurentian Mountains the majestic presence on the Quebec landscape. In addition to this mighty mountain range and its highest peak, Mont Tremblant, the region is also home to an abundance of immense lakes, wandering rivers, denseÂ forests, rich agricultural plains, and foothillsÂ dotted with picturesque villages. EveryÂ village offers something unique be it pleasant restaurants, art galleries, antique shops, factory outlet shopping and more. The next two days of golfing will be atÂ Le Diable Golf Course is a real treat for photographers. With its imposing red-sand bunkers, its long, narrow fairways and the mountain backdrop, Le Diable is as much surprising in pictures as it is in reality. La BÃªte is a magnificent championship golf course. Located along the road into Mont Tremblant, La BÃªte is quickly gaining a reputation as one of Canadaâ€™s best courses. Offering everything a discriminating golfer cares about â€“ immaculate grooming, bent grass tees, pristine greens and fairways, and a variety of challenging holes. You will depart Mont Tremblant in order to golf at Fairmont Chateau Montebello.Â Chateau Montebello Golf Club winds tightly through graceful forests and features dramatic elevation changes, captivatingÂ the imagination of golfers from all over the world. Some of its elevated tees provide lovely views of the gentle rolls of the surrounding Laurentians. Unlike most new layouts today, each hole at MontebelloÂ seems secluded, providing that lovely closed-in feeling, like your group is the only one on the course. Spend your last day exploring some of the following Montreal highlights: Notre Dame Cathedral, old Montreal with its cobbled streets and outdoor restaurants, and the old port. Based on your flight times depart for Montreal International airport to drop your vehicle and check in for your flight home. 13 nights hotel accommodation on room only basis. 7 x Green Fees at the following Golf Courses; Angus Glen, Battlefield, Ussher Creek, Deerhurst Highlands, La Bete, Le Diable, and Fairmont Chateau Montebello. Horneblower Niagara (Day 4 or 5).